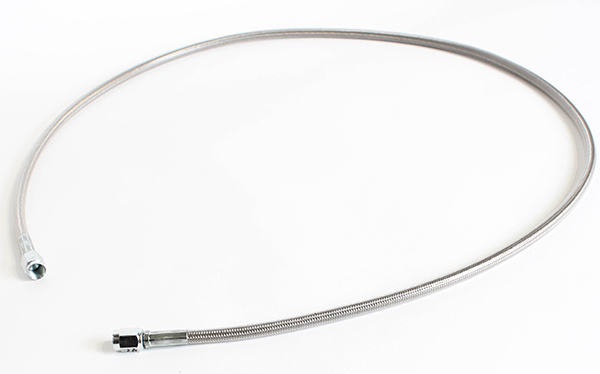 This is a -3 to 1/8 straight fitting by MCP and is designed to be used with the MCP braided brake line set. This brass 1/8 NPT fitting is used with our 4mm x 6mm nylon brake/throttle lines. We use these brass fittings as a throttle conduit guides as well as standard brake line fittings. This is a -3 to 1/8 90 degree fitting by MCP and is designed to be used with the MCP braided brake line set. This is the brake line used for the Wildcat Kid Kart's MCP brake system. 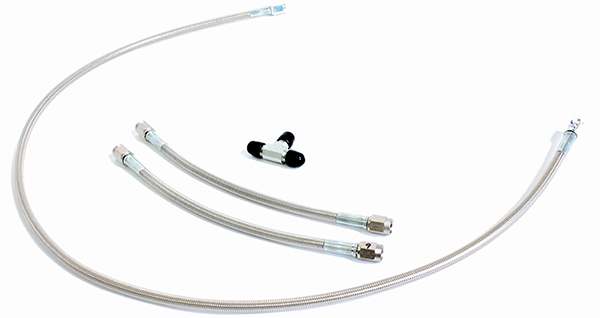 This braided brake line set utilize a 27" and 28" dual independent lines for use with the Ignite K3 chassis model. It requires the caliper and master cylinder to be equipped with NPT AN-3 male ended fittings. This is the full brake line set needed for the Ignite K2.